There are a lot of articles about the benefits of tai chi,but in this post I want consider the main differences of tai chi compared to other low impact exercises. 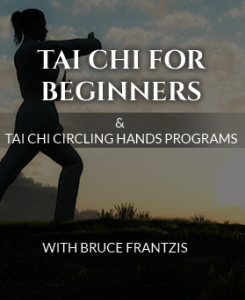 You have a choice on what you can practice so it is helpful to know how it is working and why you may want to practice tai chi rather than do something like take a walk. So rather than only do it if you can do it perfectly, just do it and understand you are working toward great. You most likely will not reach greatness after taking a week course for a few months or even by attending an intensive seminar. Realistically it takes years and many hours of regular practice to bring any movement form to its full potential. This is also the carrot or the greatness that makes tai chi so appealing, because there is always another level to climb and always ways to deepen your practice. I think your article is ‘right on.’ I have been practicing tai chi (yang style) for about 13 years; and I benefit, mentally and physically, with each class. I have hit several plateaus during my training (currently in one now) but with each period of time that I experience a ‘stall’ in my learning I know that a breakthru is on the horizon. Just like the moment with the eye of the hurricane is directly above you, I know that the energy is spinning all around. I may never be ‘great’ at tai chi; but I am better for the experience, the lesson, and the philosophy. I like it; very helpful to have more reasons to encourage people to play taiji. I do have one question: I too have noticed that even new students and other students who do not do forms well still seem to benefit from taiji. Is this because most of us start from such a low point that even meager practice will benefit us? Or why? Will the gradual improvement of their form also increase their benefits? I’m an amateur, but my answer to your question is that over time the gradual improvement in my form has led me beyond benefits to no-benefit. So now I can practice a form while my heart, my spirit, simply listens to the wind. This question is more complex than it seems and I may write a blog about it sometime in the future.. Diet ! One of the greatest things I have ever found in book form in my life is Spiritual Nutrition by Gabriel Cousens M.D. It explains in the greatest of detail how to prepare our bodies to handle higher more refined chi/prana/holy spirit so that our ability to change ourselves physically and spiritual at our deepest levels becomes wholey available . Genetics are NOT static . My thought would be figure out how clean your physical body is . Unless you are super organic raw foodist man the inside of your body has alot of badness (god bless the industrial revolution) heavy metals,GMOs,PCBs, etc etc . 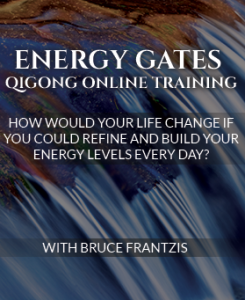 This robs your body of energy,chi,prana,HS . It takes a huge amount of energy to deal with these things and keeping you at your lowest genetic potential (PHENOTYPIC EXPRESION) . By the way I have way too much badness in me so I aint preachin but i have in my most disciplined times combined strong practice with proper fasting emphasis on proper and filling my body with foods and herbs of superior quality . The difference is beyond night an day . Its like pointin everything in the same direction ya know ? Good luck ! I am practicing TaiChi daily for 10 years, continue to learn it, feels like I am only at the beginning – and its a wonderful feeling and thinking. I have been practicing Tai Chi for 13 Years. I am now 75 years old. Two years ago I slipped and broke my ankle in 2 places. Within a couple of months I was back not only to my Tai Chi class but, practicing Tai Chi on a daily basis. I feel that if I had never taken up Tai Chi, I could have been left with either arthritus or a limp. Maybe both. I’ve been doing Wu style Tai Chi for over 20 years now but the last few years my feet and hands are getting very cold in winter — suggesting that my circulation is getting worse. Any ideas? The first place I would look for is that the pumping of your Kwa and the way you get the sense of your fingers and your feet the sense of that. I don’t know if you have studied with me but we teach that all the time. Without seeing you I don’t know that I can be of help as it could be many things. There are three people in the UK that might be able to help you Brian Cooper in Brighton, Paul Cavel in London and Mathew Brewer – depending on your location. Personally you would probably get a lot out of the instructor training next year. 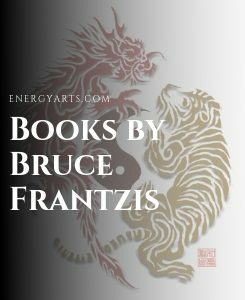 There are lots of I Ching books and I don’t read many of them. I prefer not to comment because I am not a translator. I know what is in the I Ching but not what is all of the books. I’m a 60 years old woman, who learned this many years ago, but like so many things, I didn’t practice it. Lately, over six month or more, I’ve had this constant pain on my back, upper left shoulder area. At first I thought is was just from stress. I’ve been unemployed for a long time and haven’t had much luck in my job search. So anyway, I remembered thinking what it said on the flyer with the many different names of the movesments. “It’s a Moving Meditation” So I started do these exercises again. Even though my back pain is still there, it hasn’t been as bad. I was just wondering whether they could be compared to some of the other work outs where you are targetting certain parts of the body, like your gutt. That my biggest problem. Since I had a C-Section back in my 40s, my stomach muscles have never been the same. my sister in Miami just started taking a taoist tai chi class. I want to do the wsame tai chi as her are there different ones. I want to do it with her when I visit. I down loaded your short videos in the past they are great and its good to know i not or need to be perfect. The point is bringing back blood flow to our organs and energy. I also feel as if i am getting rid of bad stuff. So thank you. Thank you, Bruce, for your insightful articles. I came to Tai Chi when approaching age 60. I loved it, and within three months I was practicing between one and three hours a day, whatever time I could make. Within a year, I was assisting my teacher, and began teaching my own beginner class (per her request) within 16 months. This is now only my third year teaching and I love the continual learning. Your articles are inspiring and help me so much with my own class, who I also hope to in turn inspire. Tai Chi opens so many doors if you are receptive. I also love qigong, which I began just last year. I think if I’d have come to qigong first, though, I may not have liked it as much, but I sure love it now, and for the same reasons I wouldn’t have been as drawn in at the beginning (the repetition). It is so complementary and allied to the practice of Tai Chi. I have many books now on both subjects, including yours. Thank you so much for sharing your immense knowledge and wisdom. The benefits of practicing Tai Chi are myriad. For me the most vital is relearning to breathe and getting to the source(stress) of what the AMA calls chronic asthma. Getting in closer touch with my body through balanced and smooth movements has allowed me to let go of subtle contractions rooted in mind but manifesting in body. Limited no more; exquisite! I think what is happening is the conditioning of the stabiliser system. Slow movement loads and emphasis the joint stabilisers. 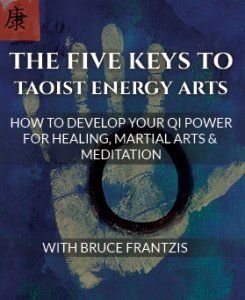 The reparative nature of Tai Chi trains motor control or the communication between the brain and the muscles. We are a seated society. When you sit, or lean on a walking stick or frame, or go to a western gym and sit on equipment, that seat stabilises you and your personal stabilisers turn off. Then your doctor tells you to go and exercise. The end result is movement through unstable joints leading to wear and tear and the joint pain all western seniors seem to have. If you compare western fighting to Asian martial arts for example, in the West you are finished at age 25, because it is all about bigger stronger faster. In Asia you see people in their 70s still practicing. It is also interesting to compare modern exercise gyms and the bodybuilding influence (looks not function) to historical exercise methodology. Today it is about heavier loads and fewer repetitions while previously it was all about time and repetitions to achieve fluid movement.